Although every state has its own right to set drinking age policies, for the past twenty-eight years all 50 states have maintained a strict drinking age of twenty-one. However, during the Vietnam War, some states lowered the drinking age to eighteen as a service to the soldiers—if you were old enough to fight, than you were old enough to drink. Unfortunately, the age decrease saw a drastic spike in alcohol-related car accidents, leading to a gradual reversal of these state laws from 1978 to 1988. Since the drinking age of 21 became national, the number of young drunk drivers on the roads has gone down. National roadside breath surveys showed a 74% decline from 1973 to 1996 in the number of underage drivers (ages 16 to 20) with blood alcohol concentrations (BACs) of 0.05 percent or higher. The number of fatally injured drivers aged 16 to 20 with BACs above the legal limit went down from 61% in 1982 to 31% in 1995. Despite the risks, 20% of adults still believe that the drinking age should be lowered. Many believe that the problem isn’t the age of the driver, but his inexperience. They feel that since teenagers are drinking anyway, they should be able to do it in public and receive the proper education and responsibility that goes along with the right. As the law stands, teenage drinking is uncontrolled and college alcohol experimentation is out of control. College students aren’t legally allowed to drink until their sophomore or junior years. Anyone who has ever been on a campus knows that despite this law, drinking is a staple for many college students. As a result of underground drinking (and the lack of monitoring), college students are the most at risk for DWI accidents. Opposition to the age-21 rule claims that if the age limit was decreased, college students wouldn’t need to experiment or secretively binge; they could drink whenever and wherever they want with proper control. These arguments seem to ignore the fact that over the past 30 years accidents have decreased as the age limit remained at twenty-one. Stay or Lower—What’s Your Argument? Considering how alcohol can affect a driver’s physical and mental state, do you think 18-year-olds are mature and responsible enough to be allowed to drink? Should individual states lower the drinking age, while increasing alcohol education? Or, do the stats speak for themselves? Let us know your thoughts in the comment section provided on this page. We’re always interested in learning what our community has to say about liability, drunk driving, and responsibility; so please, leave us your opinions so we can get a better understanding of how Texas feels about potential changes in the drinking age. What can I do to help prevent my party guests from driving while drunk? 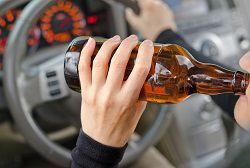 Post a Comment to "Decreasing the Drinking Age: The Effect on Road Safety"